Located about 30 miles from San Francisco, Danville, California, is home to the Blackhawk Automotive Museum, the Museum of the San Ramon Valley and the Eugene O'Neill National Historic Site which is dedicated to a Nobel Prize winning playwright. Best things to do in Danville, CA, for families include Sycamore Valley Park, the Danville Farmers' Market and Hap Magee Ranch Park. 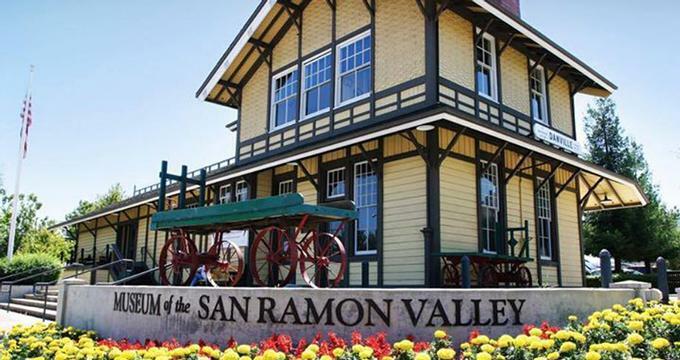 The Museum of the San Ramon Valley is dedicated to preserving, presenting and celebrating the history and heritage of the San Ramon Valley. Housed in the beautifully restored 1891 Southern Pacific Depot in Danville on Railroad Avenue, the museum’s collections and exhibitions reflect the cultures and societies shaped by the valley's early settlers, environment, and landscapes. Discover the Valley’s unique history in an informative permanent exhibition that features a wealth of objects, artifacts, a historical narrative frieze and photographic display. The museum also offers visitors guided tours which explore the Alamo Cemetery and Old Town Danville, as well as a range of educational programs, workshops and tours for school children. The Blackhawk Automotive Museum is renowned for its significant collection of classic, rare and unique automobiles. 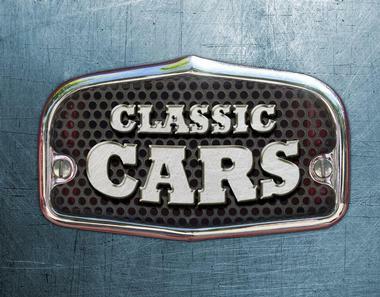 The museum is based in the Blackhawk Plaza and houses over 90 classic cars and other automotive treasures for educational enrichment and public enjoyment. 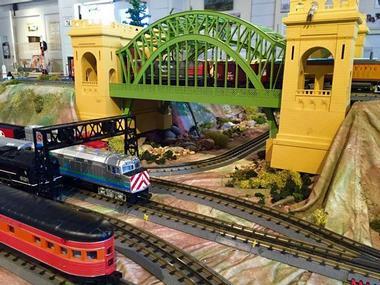 The museum presents a range of transportation, culture and science-related exhibitions featuring objects such as antique gas station pumps, American Jukeboxes, and other historical artifacts. Some of the museum’s special pieces include a 1924 Hispano-Suiza H6C, a 1962 John F. Kennedy limousine and the first Chinese-made automobile to be imported to the United States, a Chinese Hongqi. The Eugene O'Neill National Historic Site is dedicated to America's only Nobel Prize-winning playwright, Eugene O'Neill and the place where he wrote his final and most memorable plays. 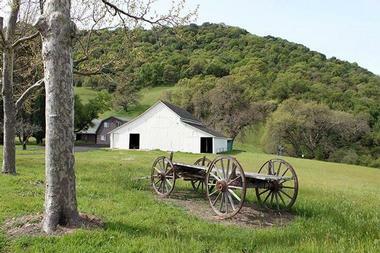 This unique national park is comprised of a 158-acre ranch in the San Ramon Valley and the house in which O'Neill spent his last years with his wife, known as Tao House. Visitors can explore the park and Tao House on self-guided or ranger-led tours, as well as some other features on the site such as a beautifully landscaped courtyard area, with planted gardens and significant pathways, historic walking paths, and Black walnut and almond orchards. The grounds boast beautiful views of the San Ramon Valley, which can be enjoyed from one of the many hiking and mountain biking trails in the region. The park is also an excellent venue for wildlife and bird watching. Located in historic downtown Danville, The Peasant & The Pear is one of the many award-winning restaurants owned by and operated by renowned Chef Rodney Worth. Considered the flagship restaurant of the group, The Peasant & The Pear serves a menu of classic “peasant cuisine” with a modern twist. Try dishes like Fisherman Stew with wild prawns, white fish, mussels, calamari, tomato broth, and olive oil croutons, or grass-fed filet mignon served with Lyonnaise potato cake, green beans, and Bourdeaux demi-glace. Enjoy a cocktail or glass of wine in the bar, whose terracotta-colored walls and low lighting create a warm and inviting atmosphere ideal for pre-dinner drinks. Sycamore Valley Park is a public park in the heart of Danville that offers visitors a range of outdoor recreational activities and things to do. There is a jogging path that winds through the park’s well-maintained landscapes, a colorful play area with safe structures, swings and climbing objects for children of all ages, and a tranquil reflection pond and waterfall. 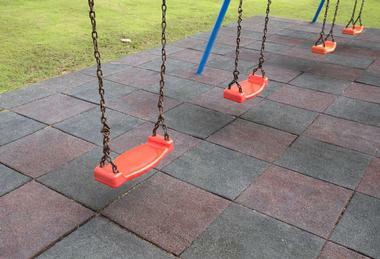 Visitors to the park can enjoy family picnics in several areas which include barbecue pits and eight picnic tables. A large picnic area with shaded structures next to the bocce courts can accommodate up to 65 people, ideal for celebrations and special events. Revel Kitchen and Bar is hip eatery serving a light and modern Cal-Med menu and an enticing cocktail and spirits program. Drawing passersby to the action inside through a contemporary transparent façade, the restaurant’s interiors are chic and stylish with floating glass shelves carrying small-batch spirits, shot-glass lights hanging over a large, gorgeous stained maple communal table and a wraparound river-washed granite counter. The menu boasts dishes created from local, sustainable and natural ingredients. Start with the Fritto Misto (wild prawns served with cauliflower, cannellini beans, gremolata and orange-sherry aioli) followed by Abbot Ale Battered Local Cod and Revel Fries served with tartar sauce and pickled peppers, and end with the Potted Chocolate Chip Espresso Cheese Cake with chocolate almond bark. A refreshing beverages list offers a range of signature cocktails, draft and bottled beer and fine wines from around the world. 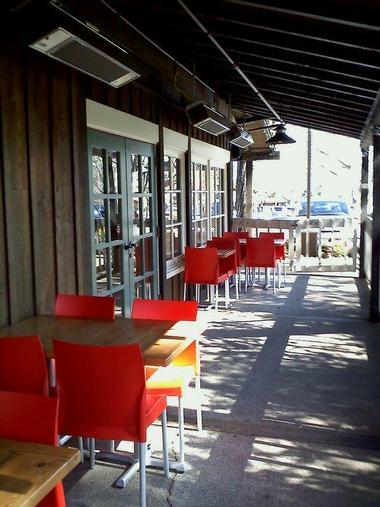 Jules Thin Crust is a family-friendly restaurant that serves healthy, organic food in a spacious and modern setting. Established by John and Jan Ordway out of passion for good food, family and a love of community, Jules Thin Crust serves thin crust, wood-fired pizzas with a variety of toppings and garden fresh salads. 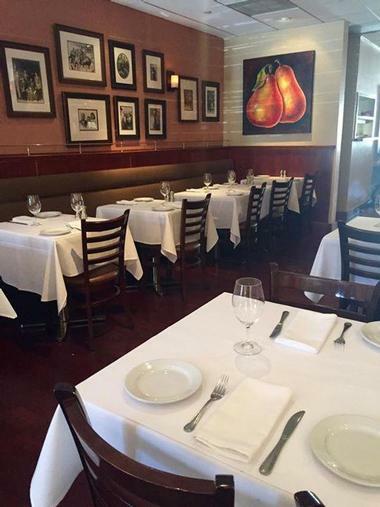 The restaurant uses locally sourced, organic ingredients, including a special Hi Gluten flour, the best quality mozzarella, and parmesan cheeses, and fresh vegetables. 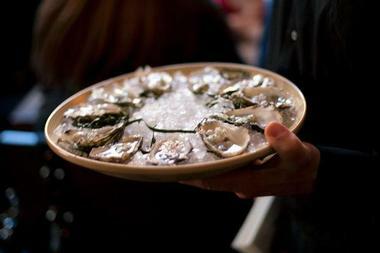 More places to visit: 21 Best Things to Do in Healdsburg. 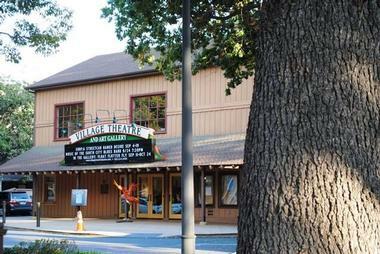 The Village Theatre and Art Gallery is a community-based cultural arts center that presents up to seven rotating exhibitions per year focusing on contemporary Bay Area Artists. The art gallery and theater also feature a range of theater shows, musicals, movies and festivals for audiences of all ages, as well as participatory-based artist workshops and educational programs such as Art Chats and Young @ Art. Visitors can partake in a range of arts-based classes, including drama, vocal, visual arts and musical theater. More destinations: 10 Perfect Lake Tahoe Weekend Escapes. 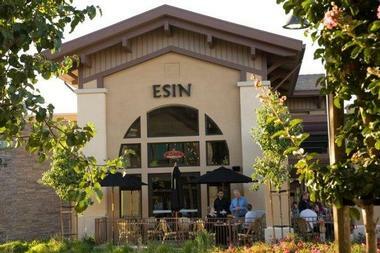 Drawing inspiration from its very name (Esin means ‘inspiration’), Esin Restaurant & Bar is owned by an award-winning culinary team, Chef Curtis and Esin deCarion. Striving to present seasonally prepared, exceptional cuisine, the chefs have created lunch and dinner menus of all-American fare with a Mediterranean touch with lunch plates including seared rare ahi tuna bruschetta, grilled prawn Cobb and pumpkin risotto with roasted butternut squash. The dinner menu offers grilled Spanish octopus with shelling beans and fresh arugula, lamb moussaka, and grilled dry-rubbed New York steak served with cannellini bean cake and pink peppercorn sauce. Esin Restaurant & Bar presents a select wine list with excellent choices of champagne and wines, signature cocktails and a range of craft beers and spirits. 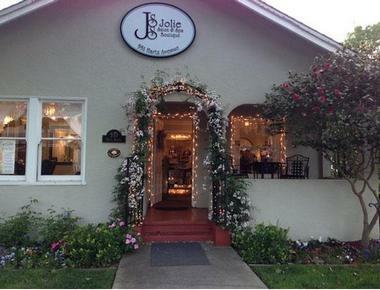 Located in the historic Cabral House, the Jolie Salon & Spa Wellness Center is an exclusive spa and salon that features beautifully decorated rooms in which guests can relax, rejuvenate and re-energize. The spa offers four treatment rooms, including a couple’s room and an array of spa services, including massages, hair and nail treatments, skincare regimes and special spa packages. Massages range from deep tissue and stone massages to pre-natal, scalp and warm stone foot massages, while individual packages include swish and makeup, massage and facial and mother and daughter treats. Guests can purchase a range of skin products and brands such as Aveda and Ouidad. The Danville Farmers' Market is situated at Railroad and Prospect Avenues in the heart of Downtown Danville and is open from early May until October on Saturday mornings and Wednesday afternoons. The market boasts a variety of farm-fresh produce, locally grown fruit and vegetables, meats, cheeses, fresh-cut flowers, delicious specialty food items and baked goods. Enjoy an array of activities each week on the market, including culinary demonstrations, recipe sharing, gardening tips from master gardeners and free wellness checks from medical professionals. 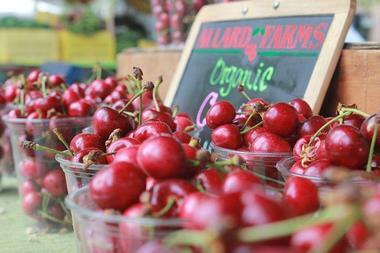 More California destinations: 18 Best Things To Do in Santa Rosa. Hap Magee Ranch Park is a 17-acre recreational park that features expansive meadows and regional walking trails, historic buildings, an Indian memorial site, a community garden, dog park, and a shaded playground area with lovely water feature. The park boasts a sand volleyball court, ‘Bounty Garden’ where visitors can learn all about organic gardening and how to raise produce, and a special off-leash dog park at the northern end of the park known as the “Canine Corral.” The park is also home to an old branding iron house and a beautiful gazebo where weddings are held. More California getaways: 23 Best Things to Do in Santa Barbara.